I haven’t been following much of the Labour Party leadership debate. I went to a hustings and I get emails and follow the social media accounts, but I’m finding the whole thing utterly depressing. I see Tony Blair has been rolled out again. I consider his legacy a sort of self-serving, neoliberal cancer, with credentials that undermine the Labour Party’s successes under him. The various polls are contradictory, other than fairly well establishing that Liz Kendall is likely to be out in the first round. Yet, look at how wrong the polls were in May anyway. 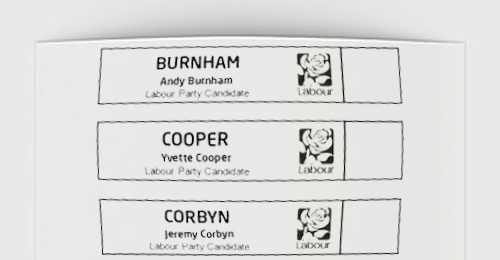 I had a call from the Labour Party while I was on holiday asking who I was planning to vote for. When I said I hadn’t decided, I was asked if I’d ruled anyone out, so I told them Liz Kendall, because I have at least decided that I’m not voting for a Tory-lite offer in a blue trouser suit. But that’s as far as I’ve got. Before I make the decision, I’ll have to read through quite a lot of cajoling and explaining, as has already been the case with Labour’s abysmal decision to abstain on the Welfare Reform and Work Bill after predictably losing on the amendment, and I’m not looking forward to it. I’ve heard that a lot of Labour MPs have said they won’t work with Jeremy Corbyn if he’s elected. I’ve also heard that the Shadow Cabinet will scupper him fairly quickly. So much for member democracy. I’m thinking of voting for him in protest vote at their sheer arrogance, but I really have a problem with the left’s unwritten apologia for Islamism. None of the candidates is that impressive in my opinion and I’ve begun to despair of the Labour Party and politics in general. The European Council behaves like a technocratic bureaucracy using economic power the way states used to use military power to get power over other sovereign states and keep them in line. The various trade agreements are undermining, if not entirely jeopardising, democracy. I have so many emails about campaigns I care about, that I can’t keep up – TTIP, fracking, the Co-op, DRIPA/care.data, the Human Rights Act, the NHS, various equality issues, tax loopholes, the Trade Union Bill – and the list goes on and on with food issues, water rights, Palestine, Isis. I don’t see what the Labour Party is for if not to redress what the Tories are doing, instead of navel-gazing about the 90s and advocating we re-establish pale blue policies. Where will we actually be in five years’ time, while the Labour Party didn’t even vote on principle against the Welfare Reform Bill? 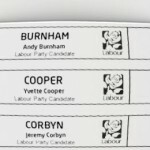 I checked the Birmingham MPs and the leader candidates and only Roger Godsiff and Jeremy Corbyn voted against it. The neoliberal consensus is entrenched in England and I’m not sure we’ll ever win again. I confess to even thinking about resigning and going Green. The debate around the mass exodus of members from Labour has so far excluded the possibility of attracting a different type of member. Maybe the Labour Party can actually move on from traditionalist politics and work for the common good. The UK establishment elite, made up of most of the media and politicians, are shoring up the neoliberal consensus by not scrutinising the other candidates in the same way they do Corbyn. Radio 4’s Today has David Aaronovitch criticising Corbyn for not standing for anything, with a sneering intro by John Humphrys aimed at the left in general. But Cathy Newman blogged about how the other candidates aren’t clear about what they believe in either. As for electability, I’m no longer sure we can know. The internal Labour backlash against Corbyn is an insult to its members and democracy and is symptomatic of the arrogance of Blairite New Labour command and control. The hallowed Tony Blair landslide victory of 1997 was based on a swing of 8.8%, but after that he consistently lost votes and the swings away were 2.5% and 5.5% until we lost with a 6.2% swing in 2010. Labour also lost members between 1997 and 2009, but increased membership when we lost in 2010 and held at approximately 190k between 2010 and 2013. The UK has one of the lowest party membership rates in Europe and voter turnout has been consistently below 70% since 2001. Anecdotally, people have told me on the doors that they don’t vote because politicians are ‘all the same’ and come from the same self-serving, out-of-touch elite, in thrall to corporations and big money. At present, Corbyn is the only candidate saying anything interesting or offering an alternative and that’s why the media are focusing on him – because he’s different and a threat to the status quo. I emailed 7 MEPs (Tory, Labour and UKIP) twice in June and I’ve only had three proper replies – one from each party. I’m looking through my inbox at all the emails about things I care about from 38 Degrees, SumOfUs, All Out, Avaaz, Unions Together, Open Rights Group, Change.org, Liberty, War on Want, Going To Work, Stop TTIP, Unlock Democracy. I still haven’t decided who to vote for.